The Secula E can be connected to E-Bike systems which provide a 6V DC feed. The input voltage can also be obtained by connecting the rear light to one of the B&M headlights that convert a higher input voltage and output the required 6V DC for the rear. Optically, the Secula E appears the same as its dynamo counterpart, but the circuit board is different and the usage may not be interchanged. Produces good light with 5V input, so could be powered from a USB Battery Pack or other 5V source. Polarity doesn't matter. Has drainage holes in the bottom rather than attempting to be water tight which is good. 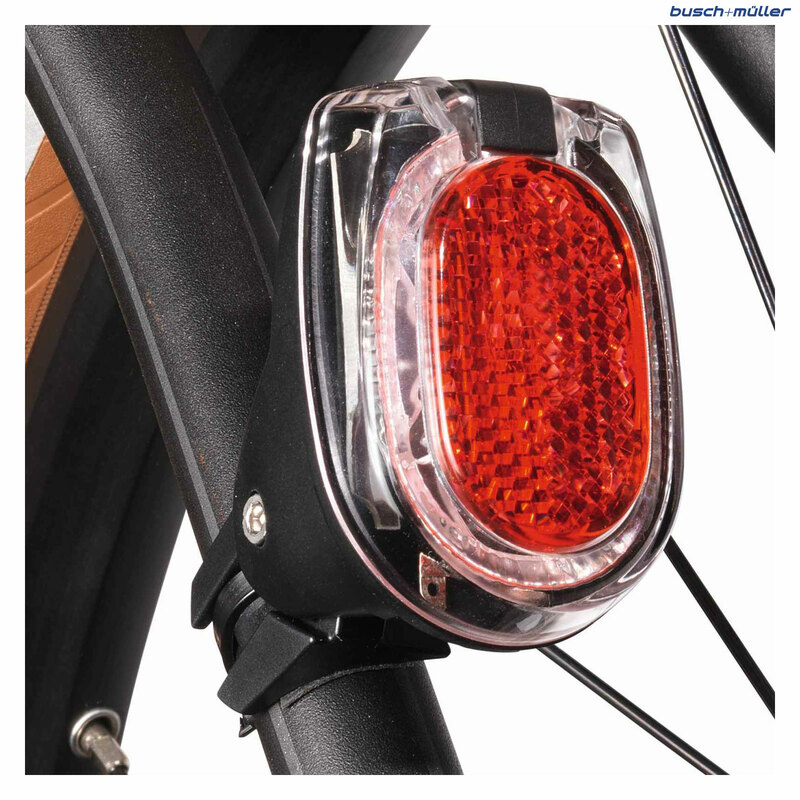 Light comes from a wide area rather than just the LEDs , so not obnoxious to following riders in a pace line. Mount not the best, but that can be changed.